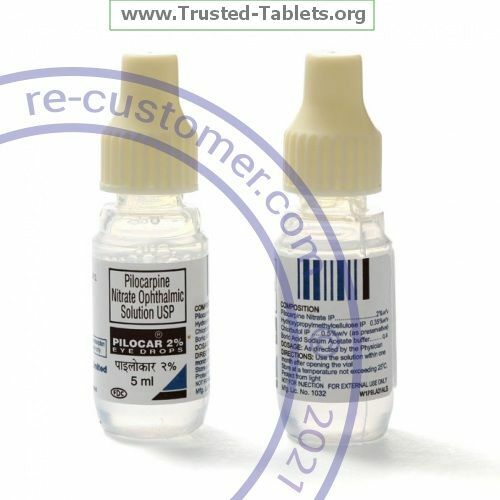 PILOCARPINE is used in the eye to decrease pressure in certain kinds of glaucoma. It is also used to prepare the eyes for surgery. This medicine is only for use in the eye. Do not take by mouth. Wash hands before and after use. With your middle finger, apply pressure to the inside corner of your eye for 1 to 2 minutes. Tilt your head back slightly and pull your lower eyelid down with your index finger to form a pouch. Try not to touch the tip of the dropper to your eye, fingertips, or other surface. Squeeze the prescribed number of drops into the pouch. Do not blink for 30 seconds. Close your eye gently for 1 to 2 minutes to spread the drops. This medicine can make your vision blur. You may find it is difficult to see, especially at night. Do not drive, use machinery, or do anything that requires clear vision until you know how this medicine affects you. This medicine may make your eyes more sensitive to light. Wear dark glasses in bright sun, or under any bright lights. Do not wear contact lenses while you are using this medicine. You can get dehydrated if you sweat a lot while taking this medicine. Make sure you drink enough fluids in order to stay hydrated. Store at room temperature between 15 and 30 ℃ (59 and 86 ℉). Do not freeze. Throw away any unused medicine after the expiration date.